Music: Splendour offers local talent the chance to shine. The opportunity to perform in front of a 20,000 strong Splendour crowd at Wollaton Park is on offer for the unsigned act which tops this year’s Future Sound of Nottingham. Organised by community project NUSIC, The Future Sound of Nottingham (FSN) will give one Nottinghamshire act the chance to perform the opening slot on the main stage at the festival on Saturday, 23rd July. Open to entrants now, the first round of FSN invites local bands and artists of all genres to send in demos for a panel of industry judges. The winning act will this year join Grammy Award winner and Splendour headliner Jess Glynne, The Human League, UB40, Jamie Lawson, Turin Brakes, Jeremy Loops as well as local rising star, earmarked as one to watch, Ady Suleiman on the main stage. Entries for the first round will close on Monday 2nd May and finalists will be expected to battle it out on the main stage at Rock City on ­­Sunday 19th June where the public and an independent panel of judges will decide the winner. Promoter DHP Family, in partnership with Nottingham City Council, recently announced the full line up for this year’s Splendour Festival with a strong mix of heritage and contemporary acts. Confetti, Gem 106 FM and Nottingham Trent University are all on board as festival partners too. Alongside main stage artists, over on the Confetti Stage is multi-million selling megaband The Darkness, The Fratellis, The Rifles, Stiff Little Fingers, Louis Berry, These Your Children and Eyre Llew, while British folk singer Will Varley, Brad Dear, Tom McCartney, Bru-C, Ellie Keegan, Josh Wheatley, Raphael Blake and Lowrie add to a fantastic line up on the Acoustic Rooms stage. 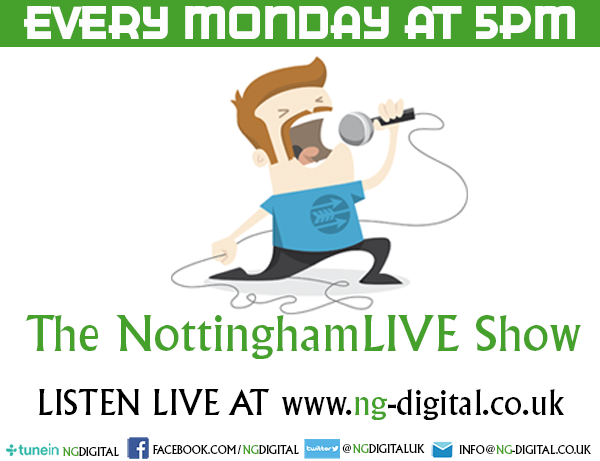 NUSIC is dedicated to all things ‘Notts, Musical and New’ and aims to support unsigned musicians from the county. With thanks to Nottingham Music Hub and Nottinghamshire Music Hub, Future Sound of Nottingham is now back for its eighth year. Tickets for Splendour are on sale now and start at just £20. To get the latest line-up announcements and festival updates go to www.splendourfestival.com or like www.facebook.com/splendourfestivalUK or follow @splendourfest.